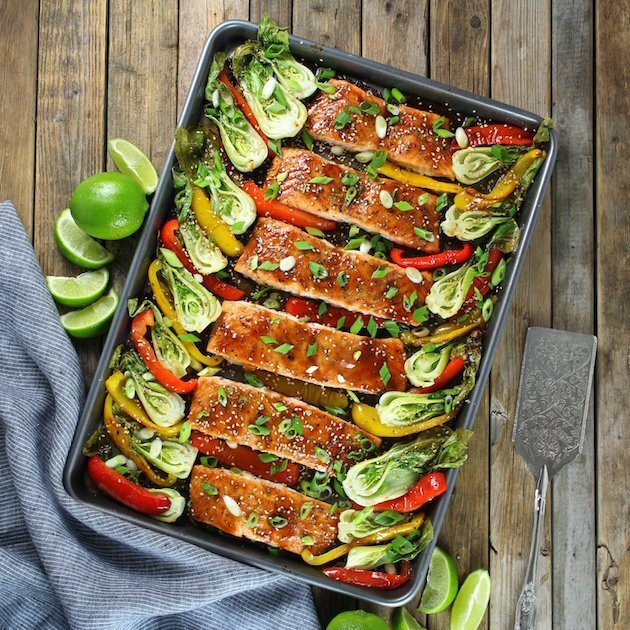 Honey-Lime Roasted Sheet Pan Salmon and Vegetables – add this one to your list of delicious and easy weeknight dinners! 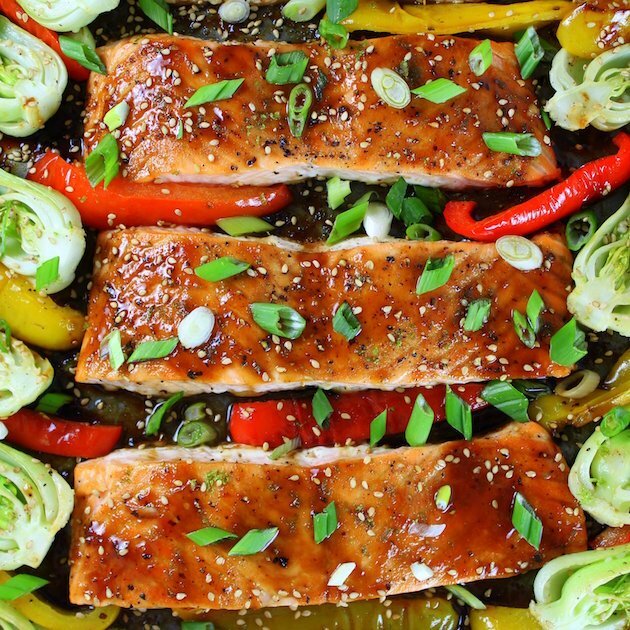 This quick and simple meal has tons of flavor and healthy ingredients like red and yellow bell peppers, bok choy, fresh lime juice, garlic and salmon. The last one was so easy and delicious I just had to do it. Because I love working with food, experimenting with new ingredients, and creating new yummy recipes, I don’t mind an extended stay in the kitchen. But this is my job. My passion. And maybe not yours. So even though I don’t mind spending hours in the kitchen making something wholesome and delicious, I know you might not share my same sentiments. Then I got to thinking…what are some other yummy meals I could apply this same “cook yourself in the oven, taste amazing and make me healthy and strong” approach to, while I sit back and read the latest Real Simple Magazine? 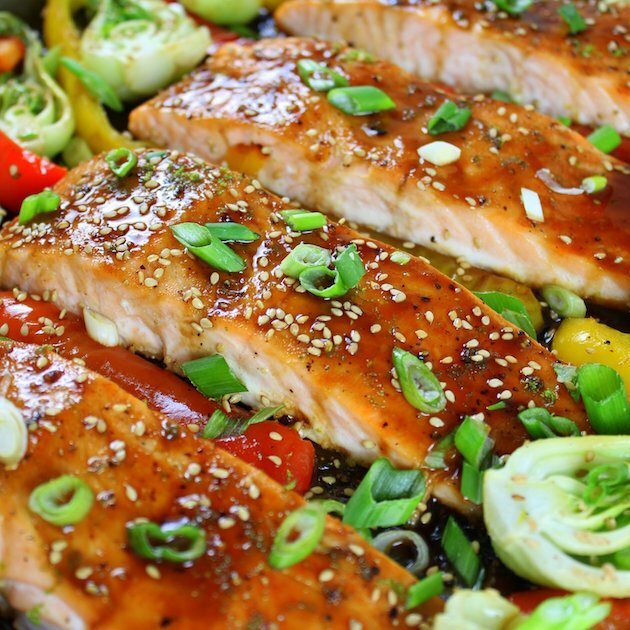 Then it happened – light bulbs went on, sirens went off…my honey/lime/soy glazed salmon!! !💡🚨 Dah! So I got out my lab coat and went to work. This is one of my all time favorite sauces for salmon. It’s the perfect balance of sweet, tart and savory. And it pairs perfectly with meaty fatty salmon filets. 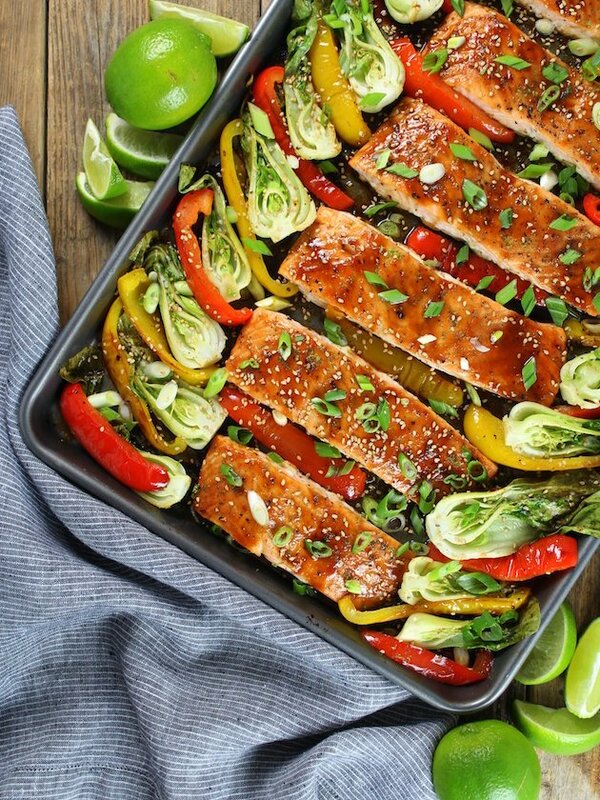 A super easy baked salmon recipe! First I added some honey, fresh lime juice, soy sauce, dijon mustard, and garlic to a saucepan over medium high heat. Let it simmer for a few minutes and set it aside. Then I rinsed, dried and sliced up my veggies. Made a lime/garlic sauce to toss my bok choy in, and started slicing my salmon into portion size pieces. 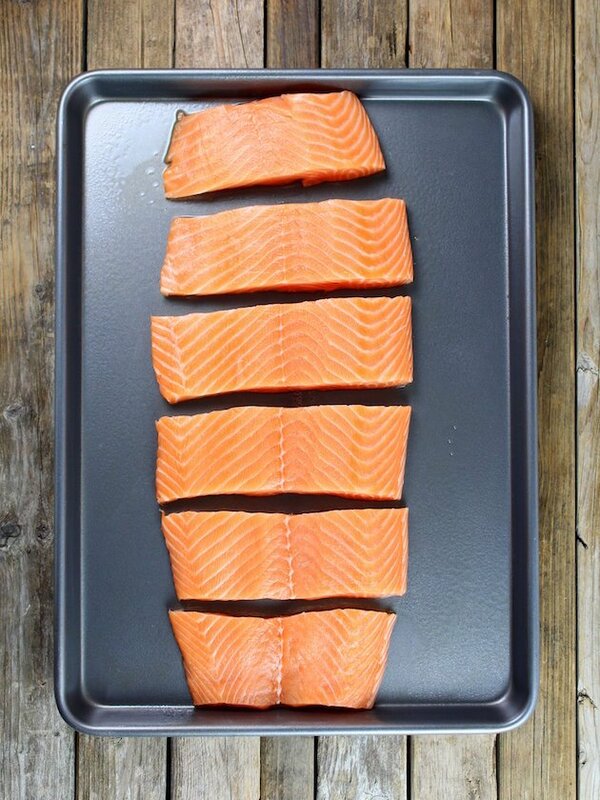 Laid the salmon on the sheet pan and brushed it with the honey lime sauce and started the timer. 5 minutes later I threw in the peppers and let it continue to cook. Then I tossed my bok choy in the lime garlic sauce and placed them on a smaller sheet pan, and added them to the oven. 8 minutes later the bok choy came out and the oven was switched over to broil. 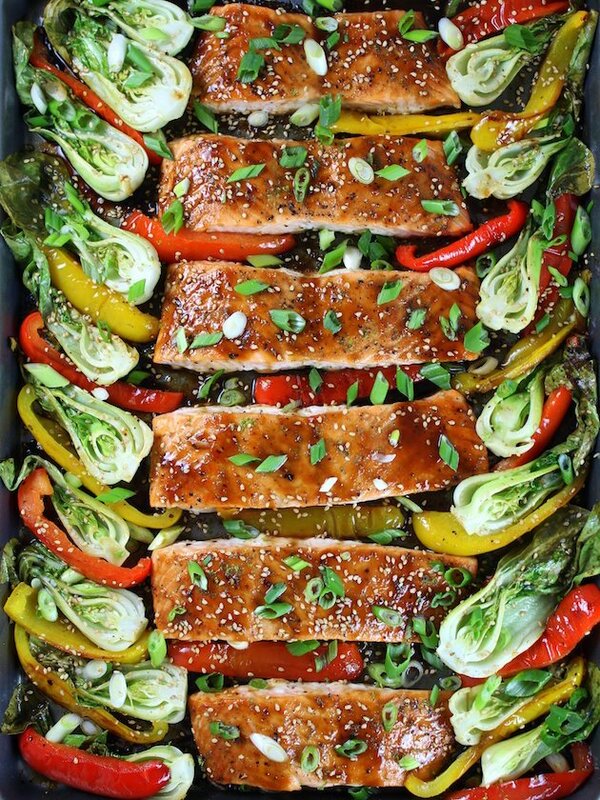 The salmon and peppers got a little extra heat and then they were ready to serve. 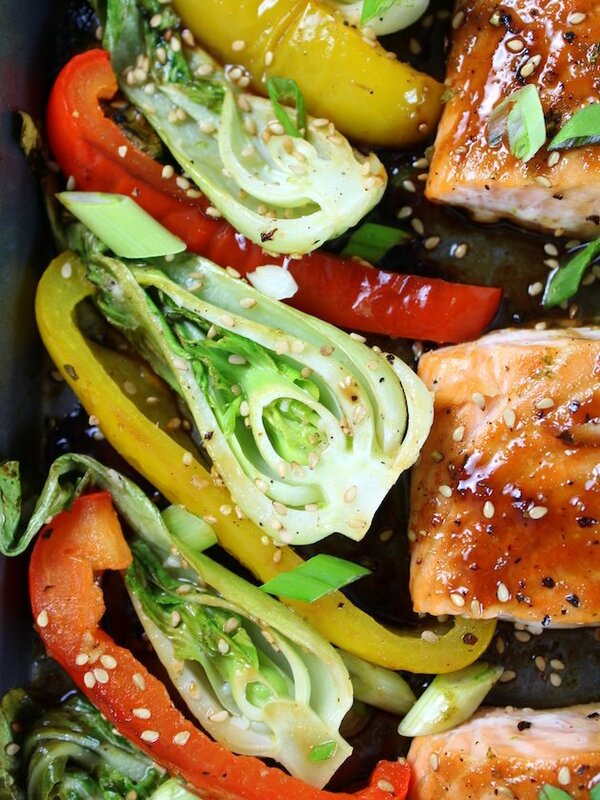 Quick and simple meal with tons of flavor & healthy ingredients! * Bok choy comes in many sizes these days. If using a small-medium sized bok choy (as opposed to baby bok choy), you will need one per serving. * There were about 20 baby bok choy in the 1-pound container I bought, so I decided to cook them all. If you do this you may need a separate baking sheet just so you have enough room! 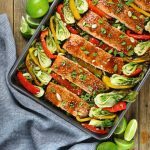 * I portioned the 2-pounds of salmon into 6 servings, but you could reduce the portion size slightly to yield 7 or 8 servings. 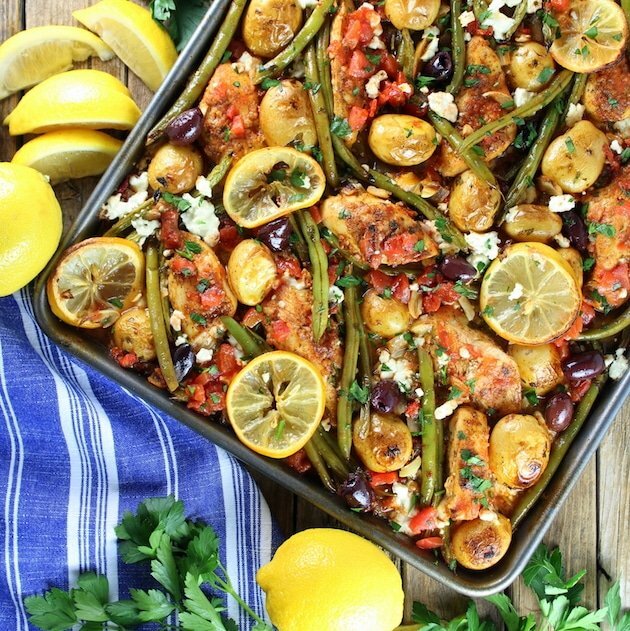 Looking for more easy delicious dinner ideas? Try these! 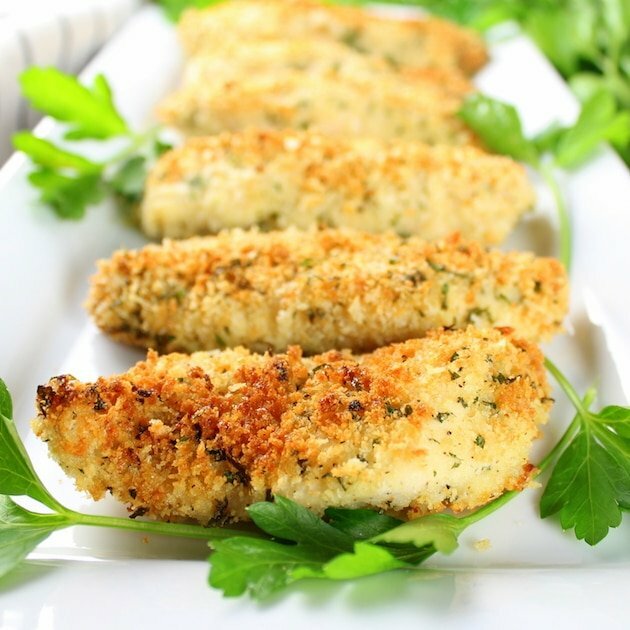 Thanks for sharing such flavorful yet simple recipes that the average cook can do! it’s my pleasure! 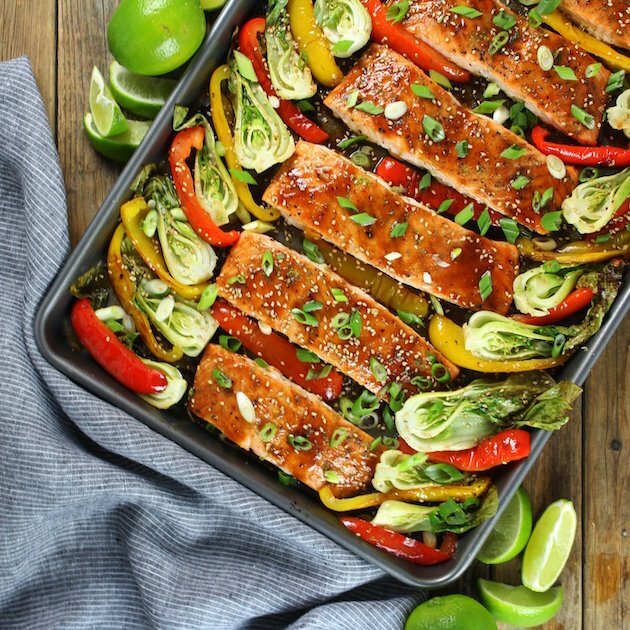 We could all use more delicious yet easy dinner recipes!